It's why you need to diagnose problems first!! Sevin is a nasty poison (viewtopic.php?f=11&t=57653) that has been banned in a number of countries including the United Kingdom, Austria, Denmark, Sweden, Iran, Germany, and Angola, but it is an insecticide. It kills pretty much every insect including the ones you would like to have in your garden, but it is useless against this, which I expect is a fungal disease. Fungal diseases in general are best prevented and are hard to treat. The earlier you catch it the better. Treatment is to remove the affected leaves and then spray with anti-fungals, being sure to spray the underside of leaves. That could be diluted milk, hydrogen peroxide straight out of the bottle (which is a 3% solution), baking soda solution (The baking soda spray is 1 teaspoon baking soda to 1 quart of water, plus a few drops of liquid dish soap). Pick one, you can't mix them, but you can alternate treatments for repeat sprayings. You will have to keep spraying every week or two until your plants are healthy and then keep a close eye out and start spraying again if you see any signs of the disease returning. 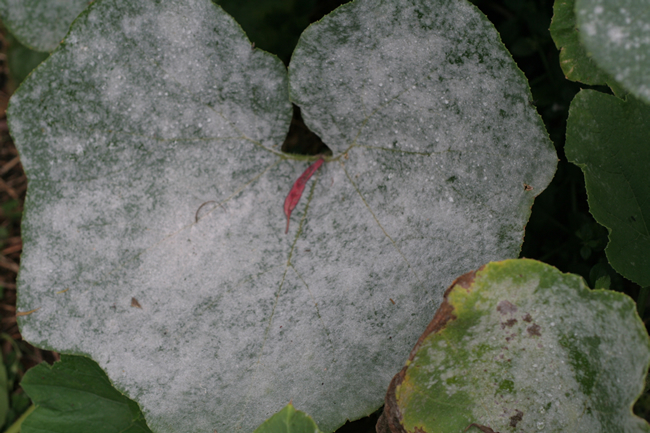 Pumpkins and squashes are very prone to powdery mildew. Check out the stems of the plants, to see if they seem to be decomposing. 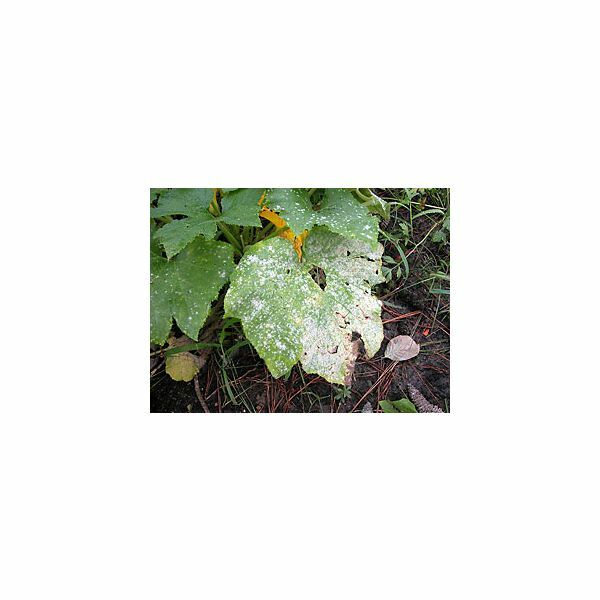 Way back, before I gave up growing those kinds of squash, along with summer squash, the weakened plants would develop powdery mildew, wilt, and slowly die, as a result of the damage done by the Squash Vine Borer. Hopefully, you only have the fungus, due to over wet conditions.